Financial tips and advice to alert you. Wake up calls to help you with your money management. Being young and single without a care about budgeting, or retirement planning is acceptable – to a certain degree. Priorities are skewed and responsibilities are less. However, being a mom with children, it’s down right careless. Yes, it’s unfortunate financial education isn’t taught in schools. And of course it’s frustrating that we have to be dragged through the school of hard knocks in order to set things straight. But, at some point it’s simply up to us to take the bull by the horns and put into place a solid financial plan – for the sake of our families. No, money isn’t everything. But, it ranks pretty high up. 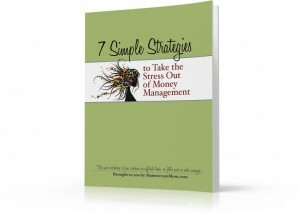 And money problems can cause a ton of damage and stress that’s perfectly avoidable. Don’t be scared. Getting a grip on your finances and tidying them up isn’t difficult. You get to see results rather quickly with a little focused attention. Just like you need to fill your kids emotional bucket, you need to “fill your financial bucket”. Watch how some TLC can make a big difference in your life. If the checkbook is ignored, it gets naughty. It just sits there, dangerously silent. 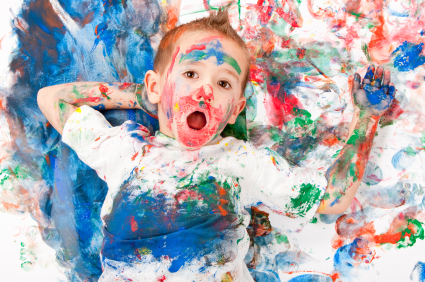 Like the eery quietness from your kids when they are in another room… you just know they’re up to something. You need to check in, frequently. Know what’s going on, daily. Stay focused and alert. You’re a mom, it should be easy for you. The instincts are already in place. 1. Money fights with your spouse. Fighting isn’t fun. Fighting about money is even less fun. It carries a ton of stress and makes the whole house cold and unhappy. Being able to talk to your husband and work out a plan, together, is so much better. 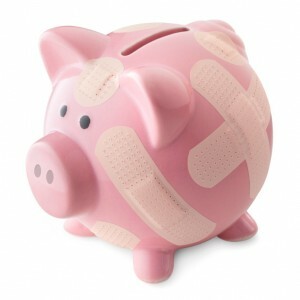 If you continually fight about money *SMACK*, time to change that! 2. Charging your groceries on a credit card. Boy, I remember the days when I never thought twice about charging groceries. Of course we didn’t pay off the bill each month and the interest and other charges likely doubled the actual grocery amount. Two, three months of doing this and things spiral out of control. Do you charge your groceries? *SLAP*, you need to change this! 3. Ending each month with zero money left over, and no savings. 4. Spending your money without a game-plan. 5. No back-up savings in place. 6. Financial goals, what are those? 7. Having no clue where all your money goes. Don’t feel bad. There are millions in the same boat as you if you found yourself committing any of the above. 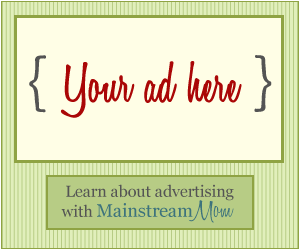 If you haven’t already, get your free Mainstream Mom workbook and get to work! 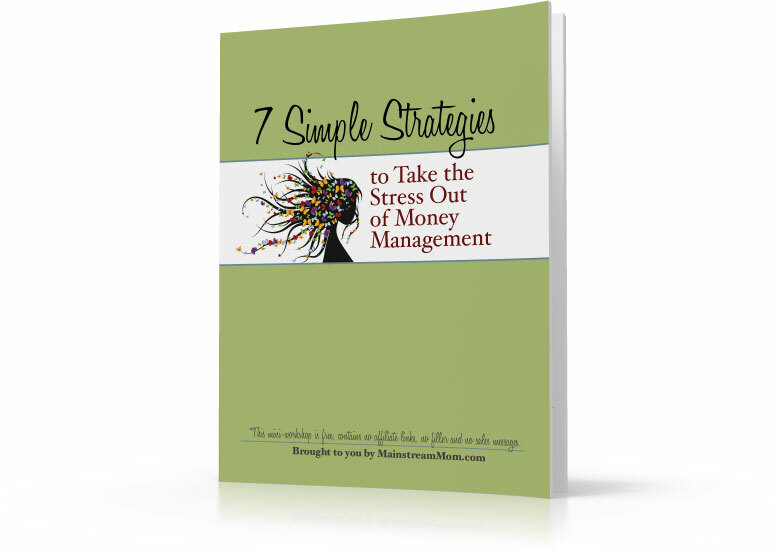 Trust me, after awhile this stuff becomes fun… 7 Simple Strategies to Take the Stress Out of Money Management. Imagine never fighting over money and paying for things you want with money you have. Never swiping a credit card because you simply don’t have the cash. 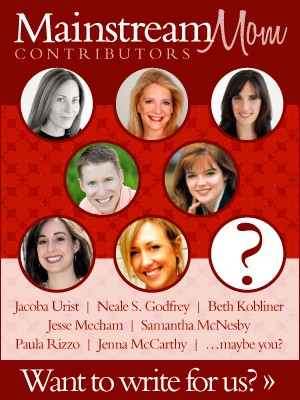 Planning vacations, creating a spending plan and making money issues a thing of the past. Next post: Should You Really Be Saving for Your Kid’s College Tuition?